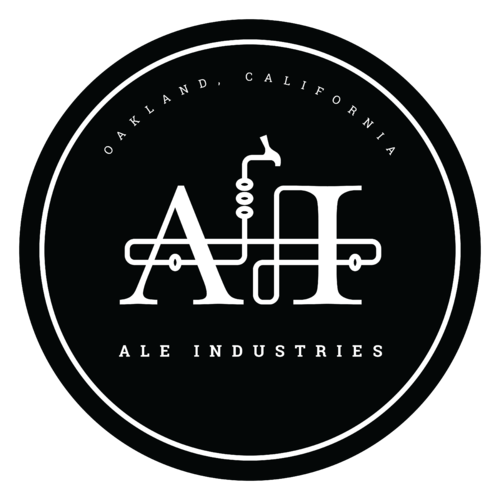 Ale Industries was the second brewery to open in Concord, and just happened to be right next door to us (man, we were lucky)! Morgan and Steve, the brewers and co-owners, opened Ale Industries with one thing in mind - to not brew the same beers that everyone else is brewing. Their first beer, a hybrid Witbier called "Orange Kush" (No called Golden State of Mind) , is more malty and aromatic than most commercial wits are. 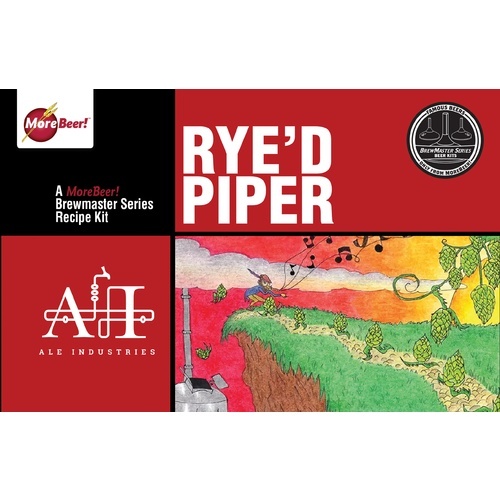 The second beer, Rye'd Piper, is a malty red ale that has a very hop-forward structure, but not over the top, like some reds can be. I really enjoyed this beer. Very smooth and flavorful. I gave this to several friends and all enjoyed it. Would definitely make this again. I just got this kit in the mail today. I noticed it came with 6lbs of extract, but the recipe calls for 5. Did you use all 6 or follow the recipe? My first kit from MoreBeer. Impressed with the quality of ingrediants and instructions. 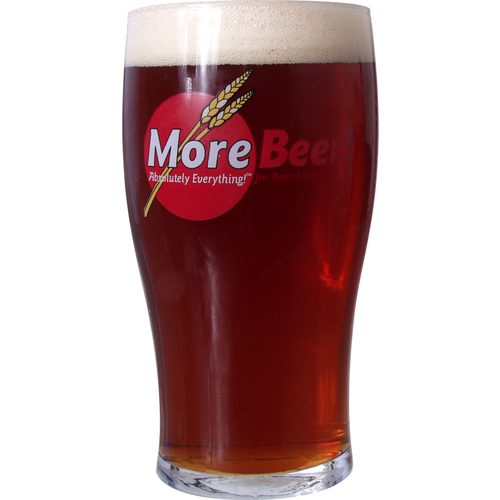 The beer was brewed as recommended,fermented with WPL001 at 68 degrees and kegged. 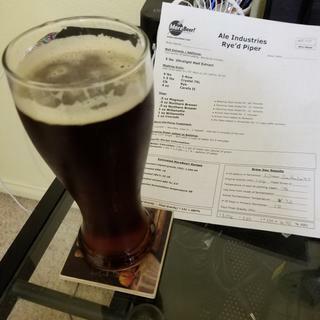 Really an enjoyable beer with moderate hop character and a nice rye flavor. My shiner bock drinking friends were happy. This will be on my brew list.The aroma is nice and at the end their is a smokey chocolate tast and a hint of hops. Had this at a bar a while back and a search for the recipe brought me to MoreBeer. 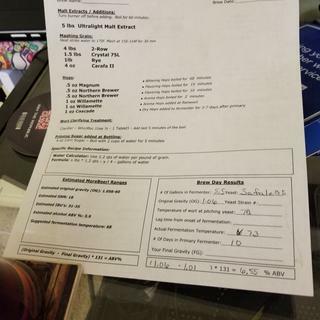 Brewed the partial mash kit a month ago. (I used Safale-05 and fermented at around 65 degrees). I just tried the first one from the keg. Excellent balanced beer with good bitterness and great rye flavor along with some hop goodness. You can't go wrong with this kit. I just wish the had it back in stock so I could order another one.